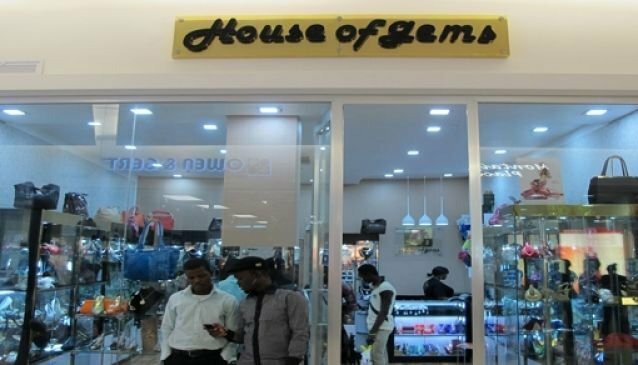 House of Gems is located inside the Ikeja City Mall, Lagos providing a large variety of alluring and unique intimate products which make a woman feel attractive and beautiful. This is a store that stocks some extremley lovely items for every woman. They have bags, shoes, rings, bracelets of a range of sizes and qualities for that fashion concious statement. They have rings for both engagements, and weddings. They also have some quality and top notch male items. The attendants can help you make a decision and check whether what you plan to get is fit for you. The store is easy to find on the ground floor of the Ikeja city mall. Their jewelries are quality and have you looking good and beautiful. The company's jewelry is among the most exculsive. The House of Gems believes in products that make a customer feel and look good, and is a source of inspiration for them every time.